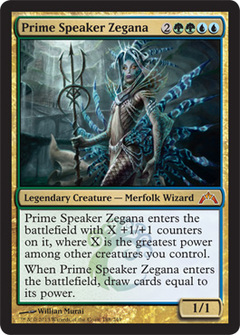 Prime Speaker Zegana ($3.82) Price History from major stores - Gatecrash - MTGPrice.com Values for Ebay, Amazon and hobby stores! 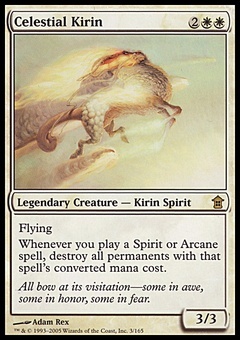 Card Text: Prime Speaker Zegana enters the battlefield with X +1/+1 counters on it, where X is the greatest power among other creatures you control. When Prime Speaker Zegana enters the battlefield, draw cards equal to its power.